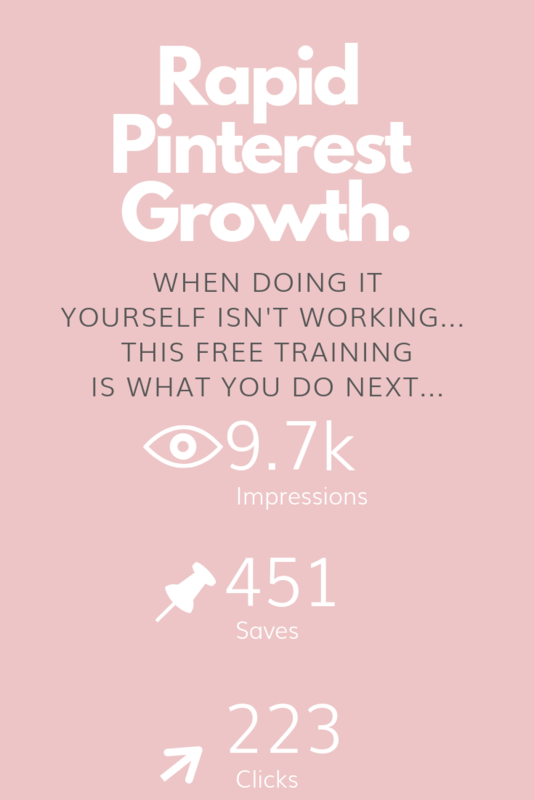 "My Pinterest views jumped from 30,000 to 50,000 within 2 weeks (60% increase) of starting the course and now after 5 weeks, I''m at over 80,000 (a 260% increase!) It's working! Over the last few weeks, people have actually been responding to mu content and I even got my first sale! Proof that it can work." 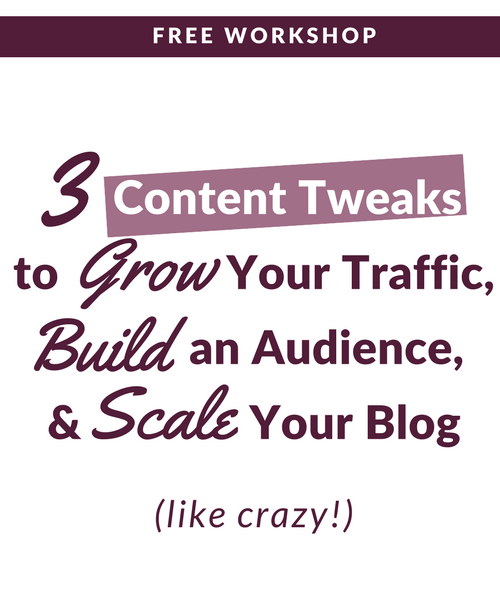 How to rapidly and organically grow your traffic with one tweak for Google and Pinterest! The costly content mistakes you could be making & how to dramatically improve them. Even if you don't have a clear goal for your blog yet, I'm going to show you how to come up with one in a few quick steps! 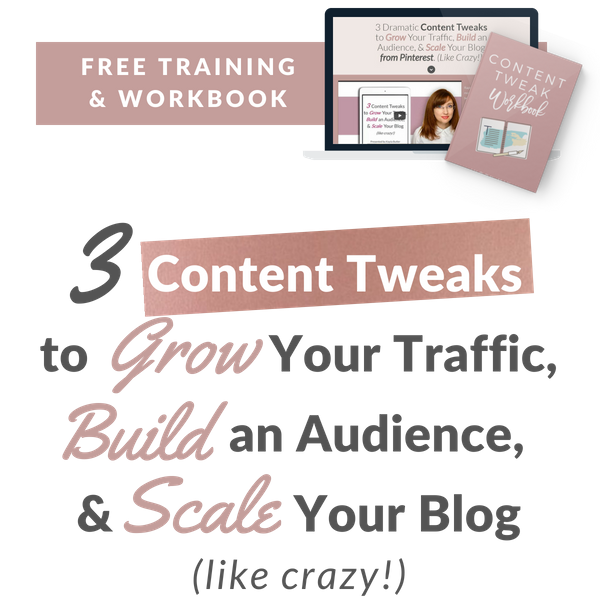 "The information about 'Content that Converts' was a game-changer for me! I find writing to be easier now and I've narrowed down my avatar. 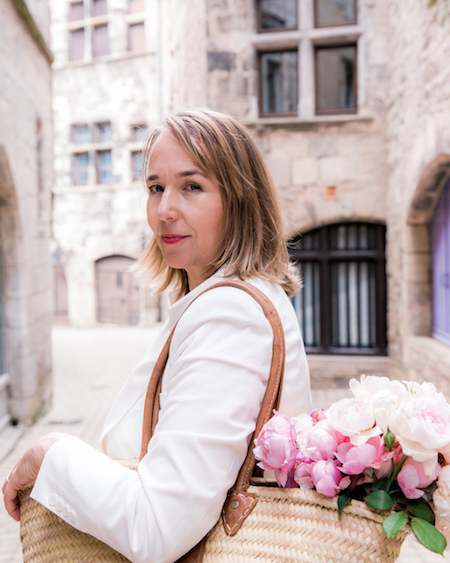 The modules and tips about my customers, and audience, and where to put certain content was so great!" 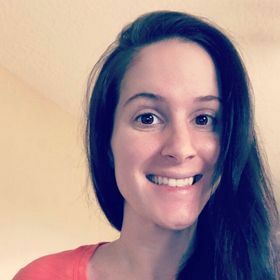 "I want to say thank you for the amazing content that you put out there in the Pinterest course. You’re one of the best value for money instructors out there." You COULD spend time doing this all by yourself. GRAB THIS FREE TRAINING INSTEAD! What do you have to lose? Come get more traffic, subscribers, & rapid results. ​Grab the free training & bonus workbook now.